“That I was going to U of T was predetermined, preordained, and I didn’t question it,” says Paul Shaffer, former bandleader on The Late Show with David Letterman, whose father Bernard Shaffer (BA 1936 UC) was a student at University College in the 1930s. 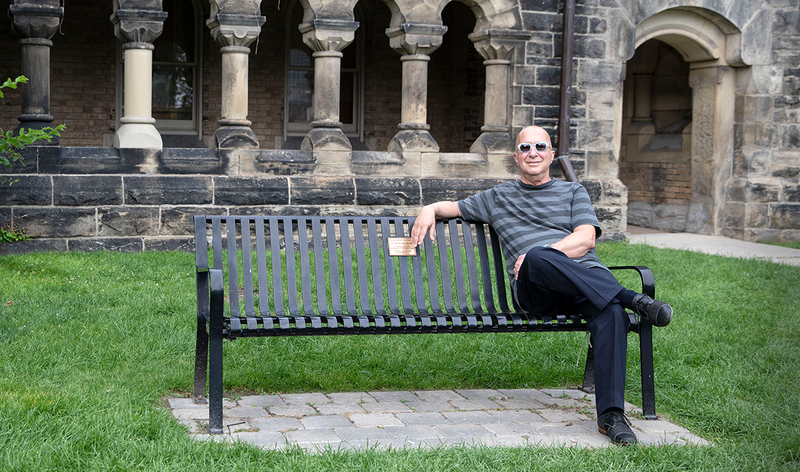 For Shaffer, a commemorative Landmark Project bench situated in front of University College was a perfect opportunity to recognize the area on the St. George campus where he and his father each spent the majority of their time as U of T students. Donors have resoundingly responded to the Landmark Project through recognition gifts, including commemorative benches and granite paving stones. These are opportunities to offer a unique tribute to a loved one, celebrate a milestone or honour an important memory of U of T.